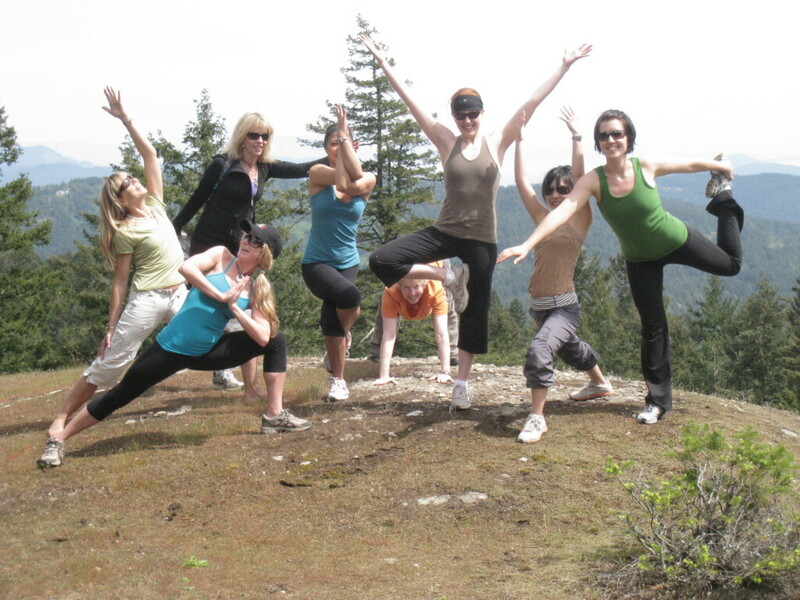 Two of my Salt Spring Island retreats to report on… The APRIL ‘Yoga on the Farm’ retreat at Stowel Lake Organic Farm and the MAY ‘Yoga on the Island’ retreat at the Salt Spring Centre of Yoga. Both went beautifully! These retreats are wonderful holidays because everyone is so centered and relaxed from doing so much yoga. The added benefits of doing the pranayam and meditation are noticeable. THE ‘FARM’ WAS LUSH AND LOVELY and everyone enjoyed wandering in the beautiful gardens.The buildings are a work of art! After brunch on Saturday we all went to the Saturday market. After an enjoyable look around, four of us did a hike up Reginald Hill (which is actually a small mountain). The hike only takes about 45 mins (one way) and is moderately challenging for part of it. Beautiful views of the Fulford Harbour and the Fulford Valley make it well worth the effort. Heidi’s amazing ‘Deep Flow’ massage treatments furthered everyone’s ‘Deep Relaxation’! Shani’s wonderful vegetarian cuisine kept us all wondering what special delight she would have for us at the next meal or snack! 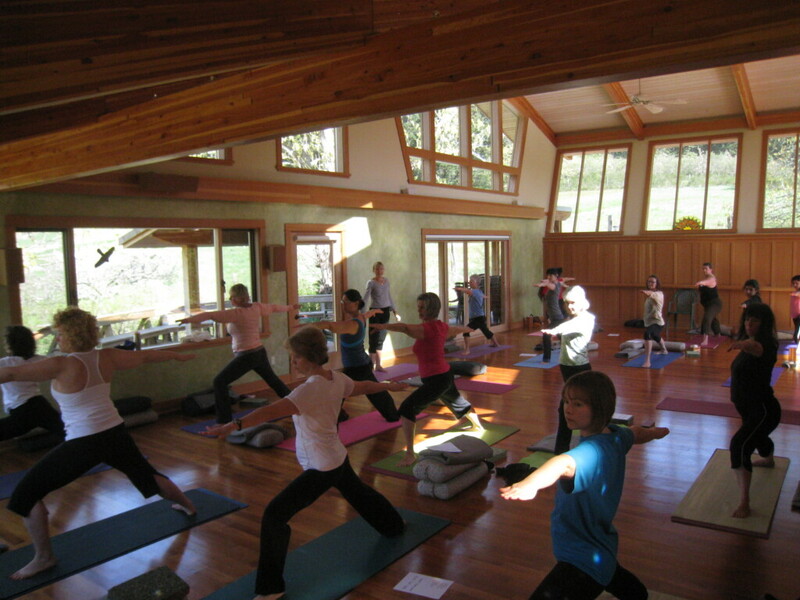 THE ‘YOGA ON THE ISLAND’ RETREAT at the SS Centre of Yoga was a small but intimate group of 8. I love getting to know everyone just that much better with the small groups. I picked up one member of our group from the ferry and took her right to 2 hour kayaking trip to Goat Island and back! She had come all the way from Saskatchewan and wanted to fill her weekend with west coast adventure. The SS Centre has large and bountiful organic gardens and pathways through the forest to walk on. On Saturday we all went to the market and then we went on a hike part way up Mount Maxwell. 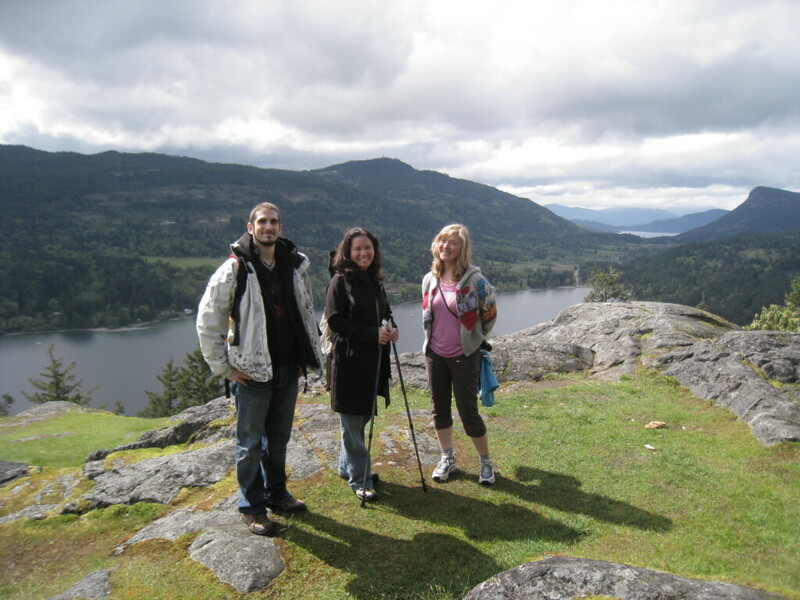 This is a fairly easy hike with great views of The Fulford and Burgoyne Valleys and surrounding ocean and islands. The wood fired sauna was a great way to finish off Saturday evening. The Centre is famous for its delicious, nutritious vegetarian cuisine…head cook, Kari, is amazing! We had a great weekend…I love my work! 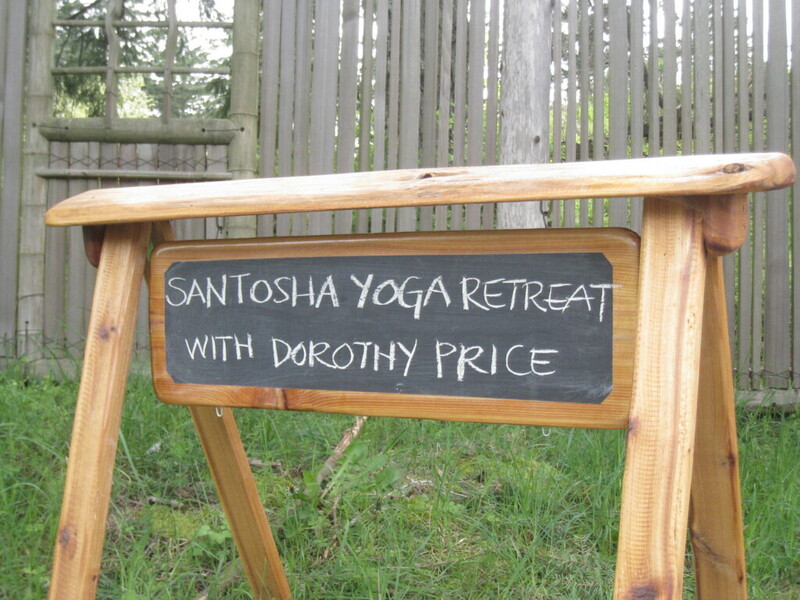 The June 18-20 ‘Yoga on the Farm’ retreat is next. I have 15 people signed up so far… still room for a few more! July 16-18 retreat still has space also.